A flawless haircut gives you a staggering and engaging look. In past days, ladies having long voluminous hair were thought to be more engaging than the ones having a shorter hairstyle. However, today everything has changed and every woman wears her beloved hairstyle despite what others think about it. People also used to say that those who have round faces should not consider short hairstyles. Moreover, it is also said that skin color plays a great role when choosing short haircuts. Of course, there are some important aspects that each woman should consider before going short. However, this doesn’t mean that a woman should never try innovations and fresh up her look for the next season. So here we aim to help women to find their beloved hairstyle which will not only suit their face shape but also will be trendy for this year. 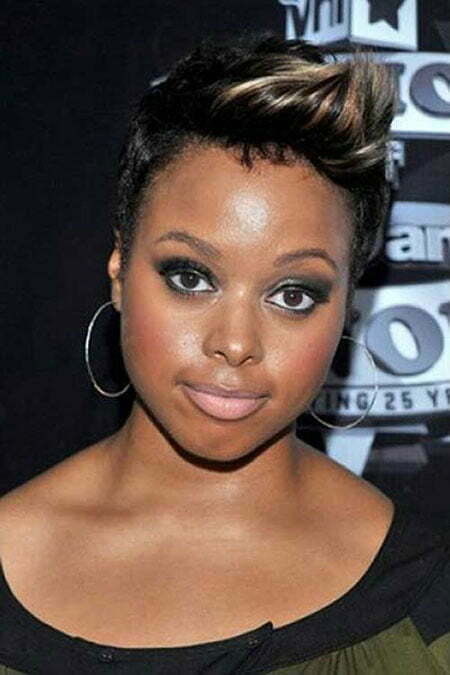 Check out our Short Haircuts for Black Women with Round Faces and feel inspired right away. 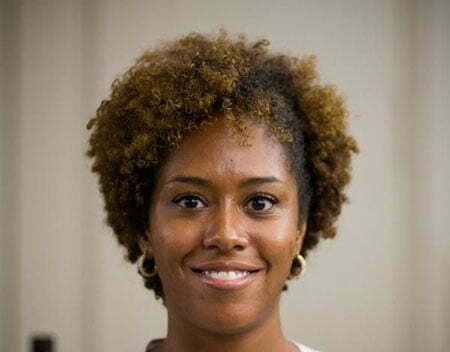 Black women usually choose curly hairstyles. 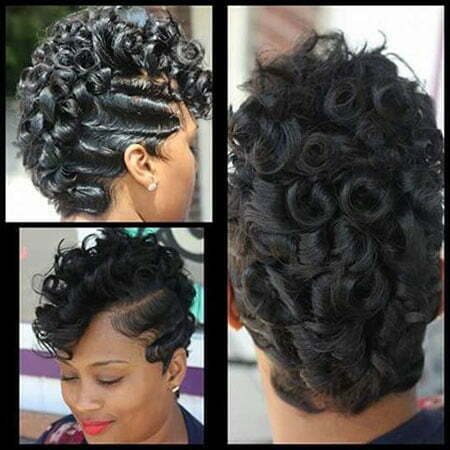 Short curls make women look very gorgeous and modern. 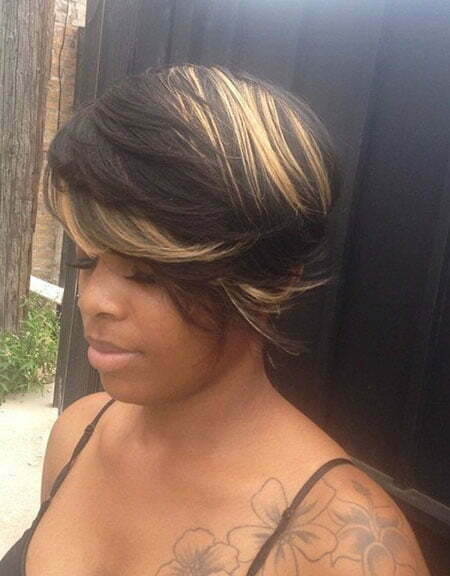 If you want to stand out we offer you to opt for a curly pixie cut. Leaving your top curls a little bit longer you will make your chubby face slimmer. If you want something new then you can add some blonde highlights as well. 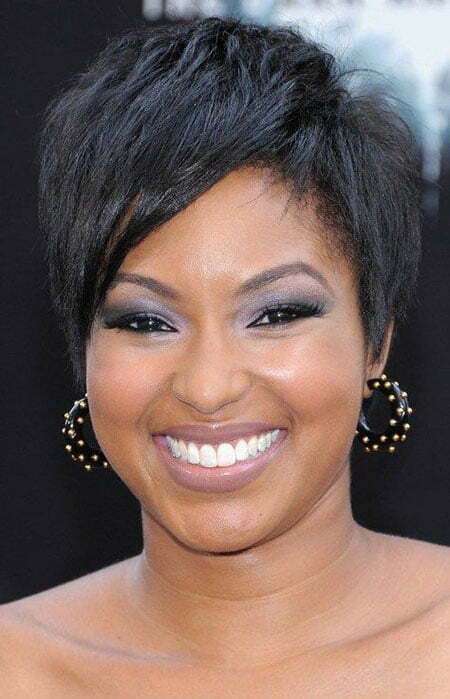 Another great hairstyle for black women with round faces is layered hair. Layers add much volume and help you look slimmer than you are. If you add bangs on one side or a long fringe, then you will 100% upgrade your style and nobody will ever guess you have a round face. You can even add some light blonde colors on your long fringe and stand out like never before. If you are not afraid of bold looks then we offer you to try mohawk hairstyle. Just razor cut your sides and leave your top hair longer. Be sure, you will have a stunning look. Black women should never forget about bob haircuts as well. Bobs are gorgeous and if you choose a right bob cut for your round face then you will stay very gorgeous. We offer you to try angled bob with a long fringe. These angles will make your fat face look slimmer and the fringe will create an illusion of an oval face. 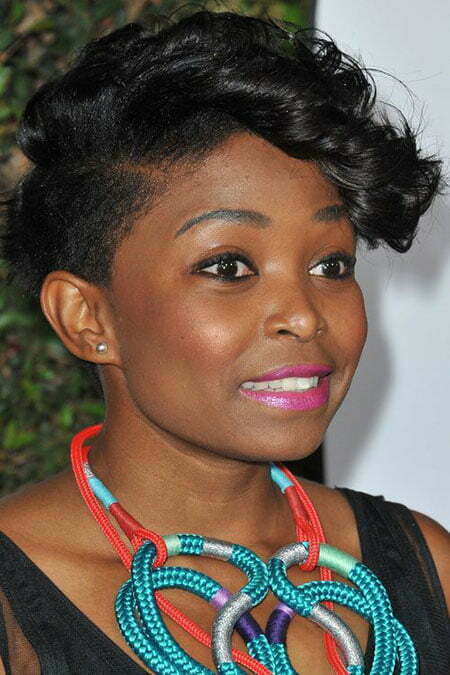 Pixie cuts are also perfect options for round faces. Just remember that you are highly recommended to opt for long pixies. In this way, the longer parts of your hair will cover one side of your chubby face. Spirals are also one of the trendiest methods of today. Spirals suit black women a lot and even if you have a round face you can be sure that your style will be gorgeous. 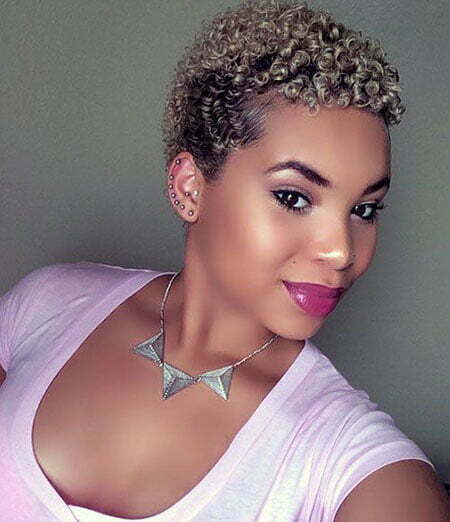 Short hairstyles are always preferred by black women, so if you also want to make your hair short then you will never regret. Look through the pics below and you will find a suitable choice!